Frank Rosaly (Francisco Javier Rosaly Amoros Rosello - b. 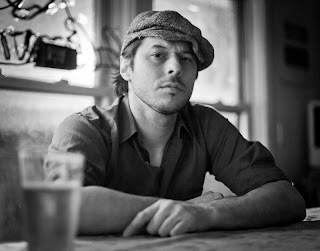 5/30/74 Phoenix, AZ) is a drummer and composer living in Chicago. He has been involved in the improvised and experimental music community since 2001 where he has become an integral part of Chicago's musical fabric, navigating a fine line between the vibrant improvised music, experimental, rock and jazz communities. He contributes much of his time to performing, composing, teaching, as well as organizing musical events, while also touring regularly domestically and internationally. Frank is currently active in many projects throughout Chicago as well as New York and in Europe. Some groups include Bobby Bradford/Frode Gjerstad Quartet, Matana Robert's Chicago Project, Rob Mazurek’s Mandarin Movie, The Rempis Percussion Quartet, Ingebrigt Haker-Flaten Quintet, Scorch Trio, Nicole Mitchell Ice Crystal Quartet, Jason Stein Quartet, Jeff Parker/Nels Cline Quartet, Josh Abrams' Natural Information Society, Fred Lonberg-Holm’s Valentine Trio, Keefe Jackson’s Project Project, The Fast Citizens, The Jeb Bishop Trio, Jason Adasievicz’s Rolldown, Jorrit Dijkstra’s Flatlands Collective, Chicago Lucern Exchange, Hearts and Minds, Slow Cycle, Outskirts, Darren Johnston's Chicago Quintet, Anchor and others. Some performances in the recent past include collaborations with Bobby Bradford, Frode Gjerstad, Jeff Parker, Thurston Moore, Peter Brotzmann, Tony Malaby, Roscoe Mitchell, Anthony Coleman, Paul Flaherty, Marshall Allen, Louis Moholo, Nels Cline, Eric Boeren, Ken Vandermark, Michael Zerang, Walter Weirbos, Joan of Arc, White/Light, Fennesz, David Daniell, Rhys Chatham, Doug McCombs, Michael Attias, Michael Moore, Jaap Blonk and Colin Stetson, among many others. Rosaly's sextet, Cicada Music features James Falzone (cl), Jason Stein (bcl) and Keefe Jackson (cbcl), Jason Asasiewicz (vb), and Jason Roebke (b) performing music inspired by the cinematic experience. Frank also leads Green and Gold, a quintet featuring Cameron Pfiffner (reeds), Nick Mazzarella (alto), Tomeka Reid (cello) and Anton Hatwich (bass) exploring the music collaborations of Prince Lasha and Sonny Simmons. He is also involved in a solo project called Milkwork: a study in integration of electronically manipulated percussion instruments, improvising dense sound walls with controlled feedback, overdriven amplified drums. Frank blends sound scapes designed through analog electronic synthesis with extended techniques on unamplified drum set. Frank also studies cymbal hammering, and utilizes his hammering experiments with this project. Frank organizes and coordinates the Ratchet Series, along with Nick Mazzarella, Anton Hatwich and Kate Dumbleton to showcase creative music in an intimate house concert setting in Chicago. Frank is also faculty at the Old Town School of Folk Music. Frank earned a performance degree from Northern Arizona University. He has studied with Billy Higgins, Peter Donald, Bob Moses, Joel DiBartolo, Dom Moio, Steve Hemphill, Robert Schulz, Michael Vatcher and with the staff at the Jazz Record Mart. I see my musical journey as process. My endeavors are meant to display, document and communicate that process. I play music to ask questions, and within this subjective art form, queries are not meant to be answered, but are meant to qualify new questions. Wonder has always been my one inexhaustible tool in creating. I believe that the work I put into this process charges the air I breathe, the space I occupy, and the energy I expend. I believe all artists relegate at least some of their time and work towards defining themselves, their surroundings, to qualify their existence and to find relevance to their path. This helps create perceptual congruence to our audience, but moreover, context with which we perceive and react in our own reality. I find the process of creation the most humbling action I have ever attempted. It is my way of communicating goals, dreams and hopes. When I play music, I am in touch with my beliefs. I have been moved deeply by listening to music, and I am attempting to do the same with my own music, that is, to move someone who witnesses a performance. I would love to think that occasionally something that I play makes a listener feel a fraction of the joy I experience when I listen to outstanding music. If my music creates an avenue for a listener to experience a feeling, then I am truly satisfied, for I am helping the listener be present, and to be present is to be alive. To me, that is absolute purpose.